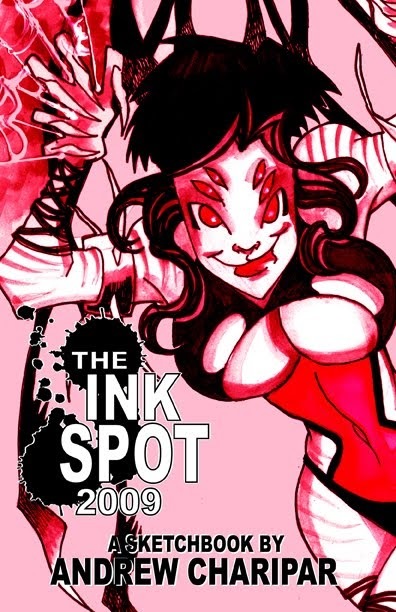 I've started updating my new blog over at MISFITCORNER KIDS. 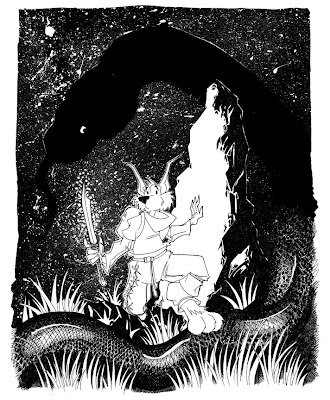 You can follow more on our HERO project at that site and I look forward to updating it more soon and often. and added his missing TAIL!!! 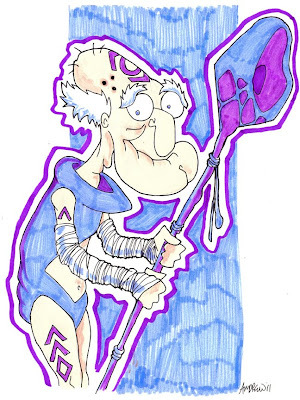 Crimey... my daughter pointed out this morning I FORGOT THE GUYS TAIL!!! This is an image I had when I was sleeping... I could not get the image out of my head so I woke up and scribbled down the idea and just today I (almost) finished it. 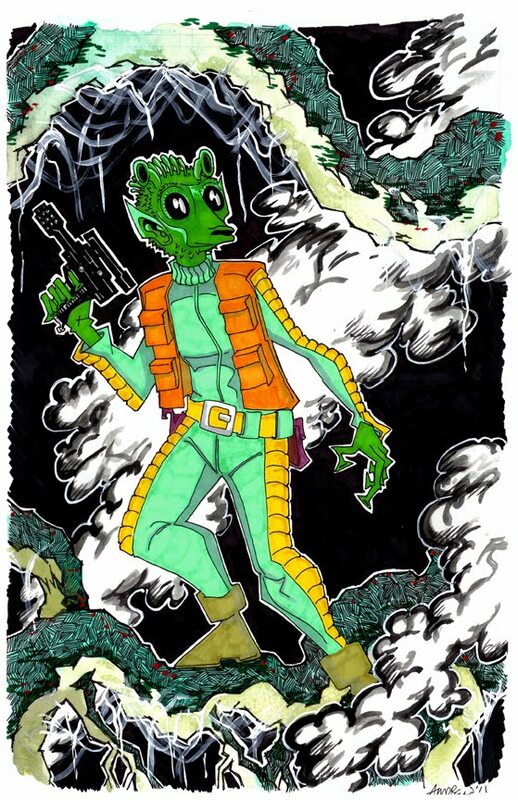 Another commission for the CGS Super Show and another new favorite character. 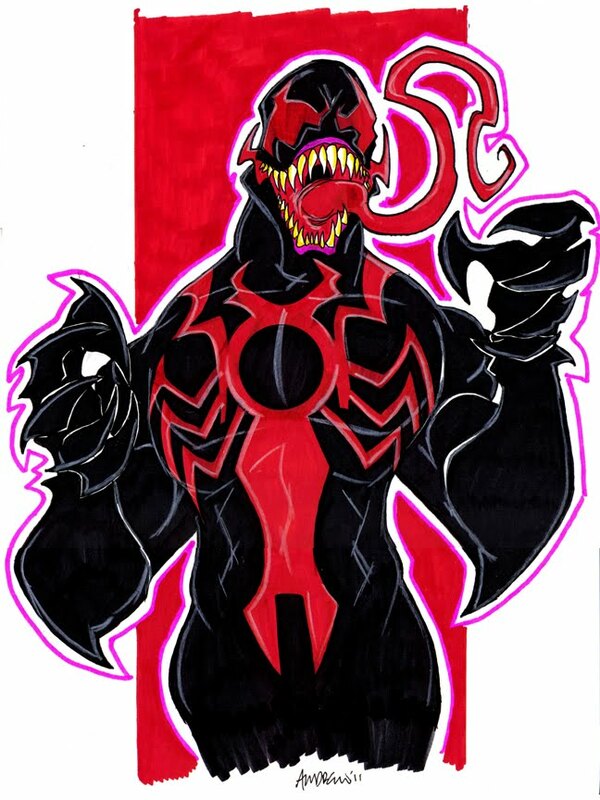 This guy is soooo cool and i loved drawing him. Can't wait to take another crack at him. OK, this is one of my commissions for the CGS Super Show that I took a few liberties with... OK, a LOT of liberties. 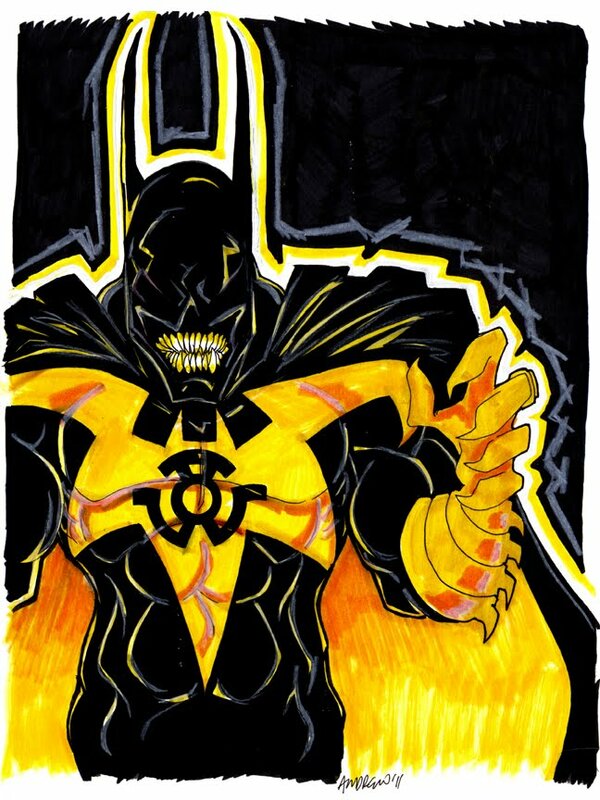 When I first got the request, i did not want to simply draw Batman in a Yellow Lantern Costume... what is the fun in that? 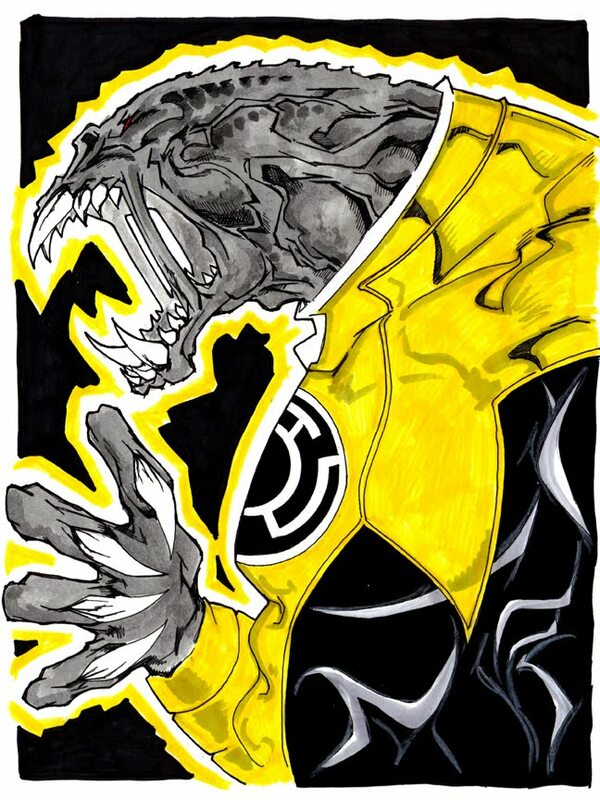 So I decided, the Yellow Lanterns represent FEAR. What is the scariest interpretation of the Batman... simple... Kelly Jones's Batman (See Red Rain, etc). 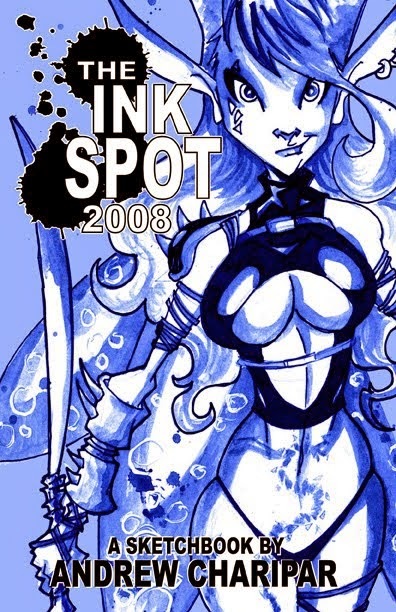 So I used that as my starting point, most specifically the looooong pointy ears. 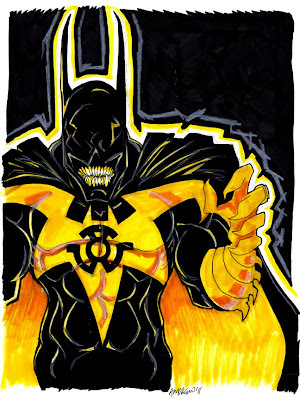 Then I added the yellow bat symbol (which you got to have) and then made the rest of the costume black. Then I did the teeth... to make it even scarier. Then I F-ed up the eyes. I accidentally colored them in and whatever i did, either white out, acrylic paint or prisma color pencils, nothing worked... so I blacked them out entirely and it made it even scarier. 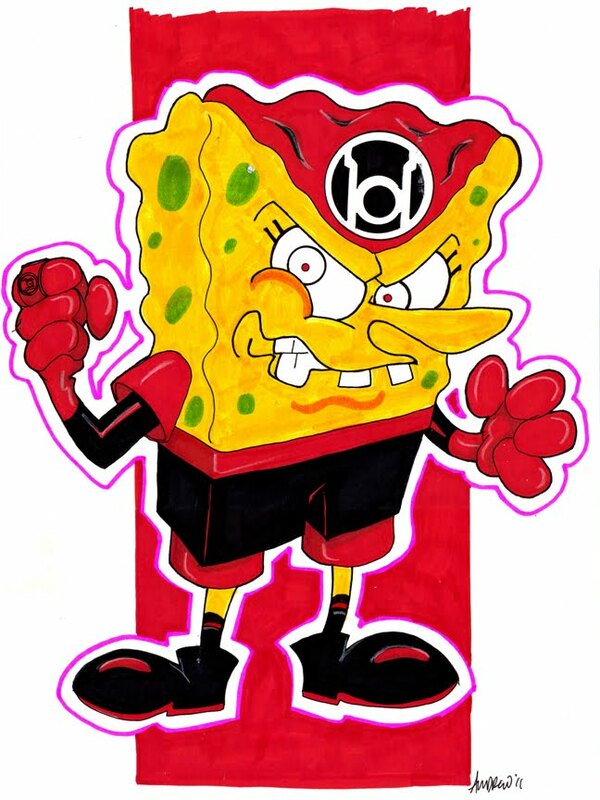 So there you go... Yellow Lantern Batman... ala, ME. ok, the scan is not that great but here's the final of the first Family Guy Lanterns collection. The second step includes the character outlines (separate colors for each character) and filling in the blacks. 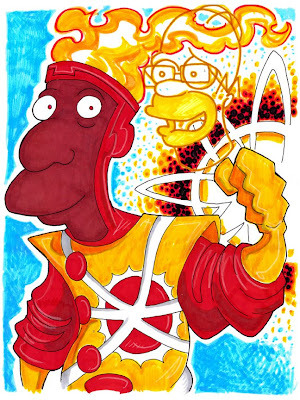 This is actually one of two Family Guy Lantern Splash pages I am working on. This layout is different from the second one I am doing because it only includes 7 Lanterns (and Chris's Monkey) and the other will include all 9. 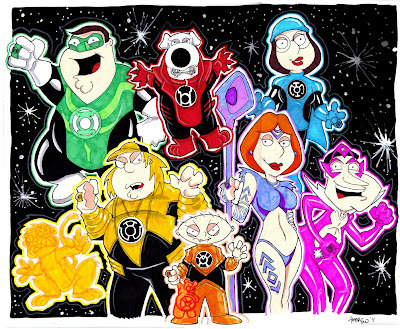 I had to switch around the colors for the characters since this commission specifically asked for Brian to be the Red Lantern. So Peter went Green, Meg went Blue, Brian went Red and Lois went Indigo (and she still looks hot). 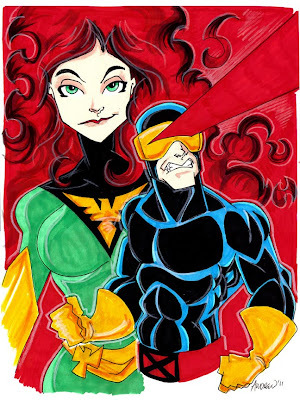 Another commission for the CGS Super Show... Cyclops and Phoenix of the X-Men. 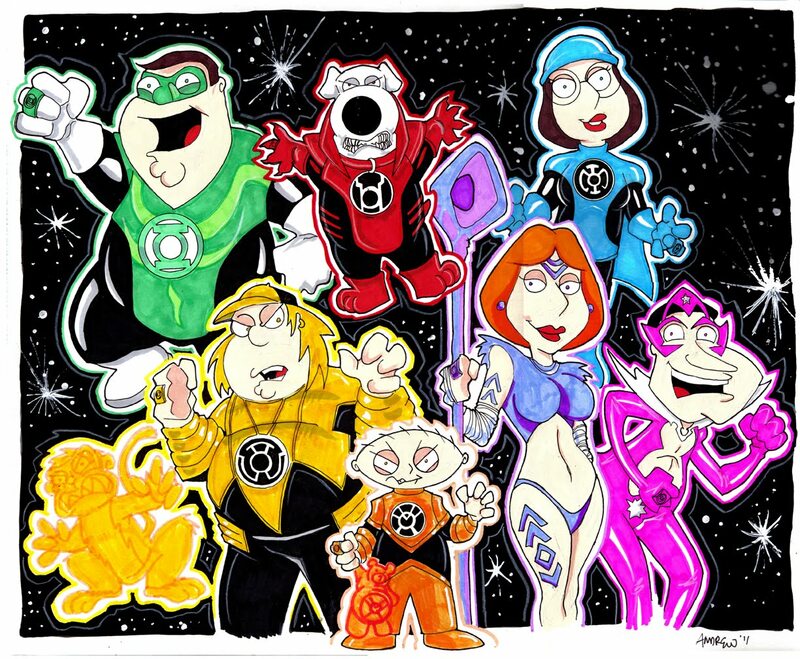 The COMPLETE Family Guy Lanterns... and at this point, only one person has them all... he he, so far, that is. anyway, last, but not least... Indigo Lantern Herbert. 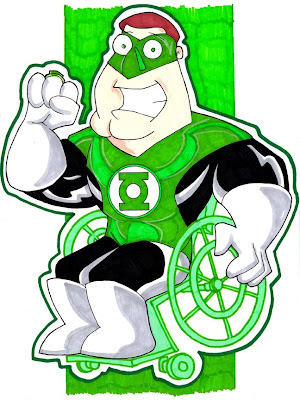 One more down, one more to go for the Family Guy Lanterns. 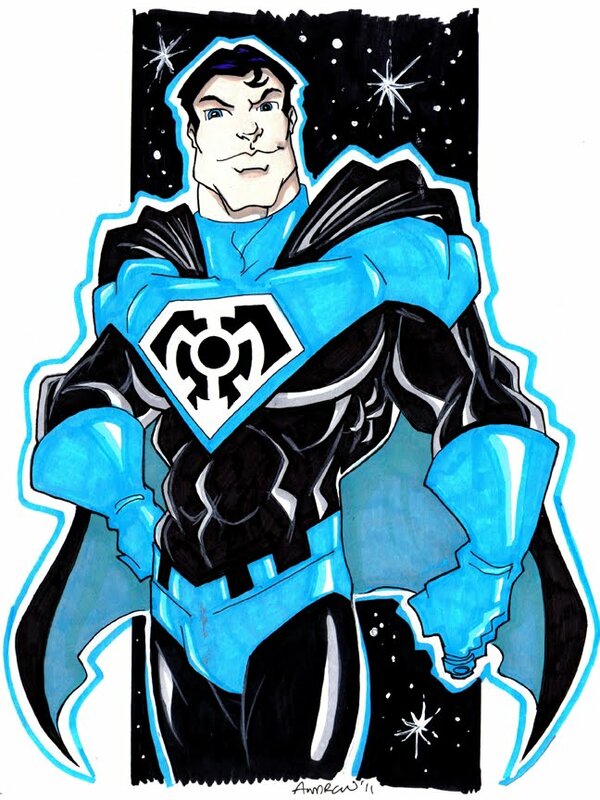 This is one of the Commissions I got for the CGS Super Show, not the first I have done but the first I have posted. "Carl Carlson as Firestorm with a Homer Simpson floating Head like they were merged in the Firestorm Matrix"
Ryan McLelland recently posted on my deviantart site "Diggin the LanterN stuff on your blog... You should totally do Spongebob Lantern characters!" 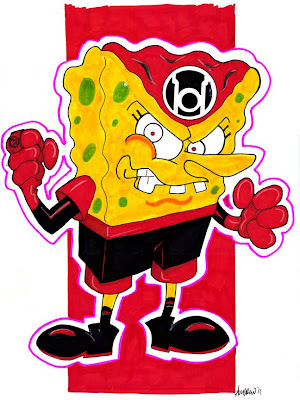 Got me thinking and here's one... Red Lantern Spongebob Squarepants. Guess I need to start the sketch now... he he. Caught up on a few commissions this weekend... Catwoman. This is not the first time I have had two commission requests for the same character but it is the first time I have had two requests for two different characters... 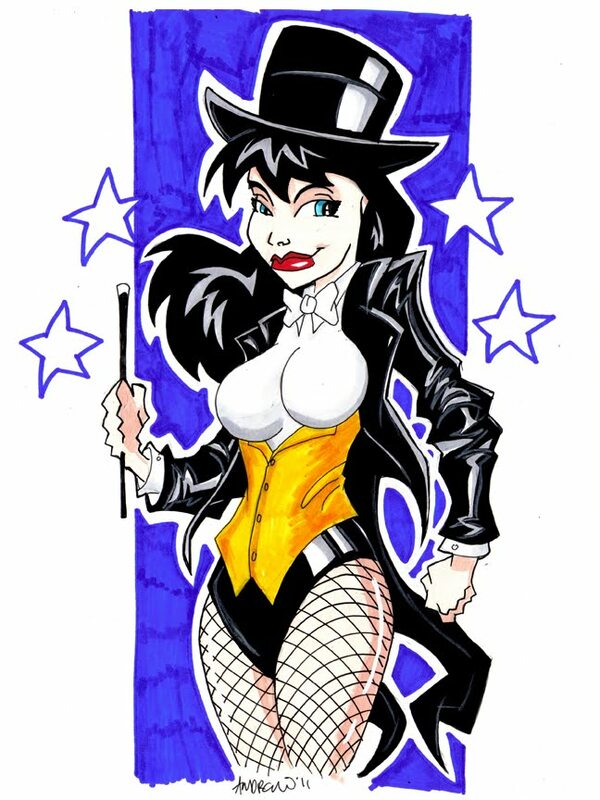 Poison Ivy being the first and Zatanna being the second. I am taking requests for the CGS 2011 Super Show on their forum here. Check it out. 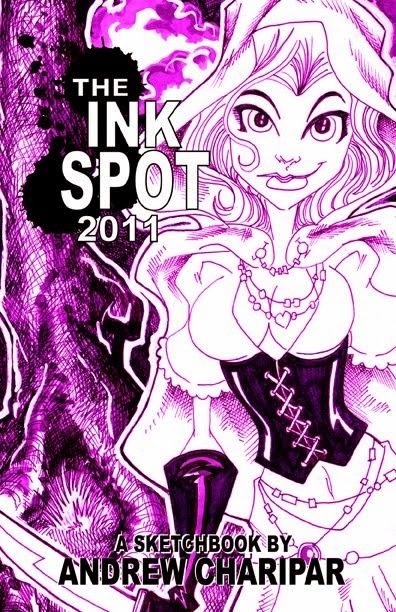 If you are going or will be in the Reading, PA area around April 30th and May 1st... come by and check it out. It's a small show that focuses on Artists... It's great. Uggghhh. I did it really quick and it came out "OK" but the guy liked it and it inspired me to take another shot at it. Also did a sketch for today but I hated it and trashed it... tomorrow I will catch up... promise. This is the first sketch of February and it's not finished. 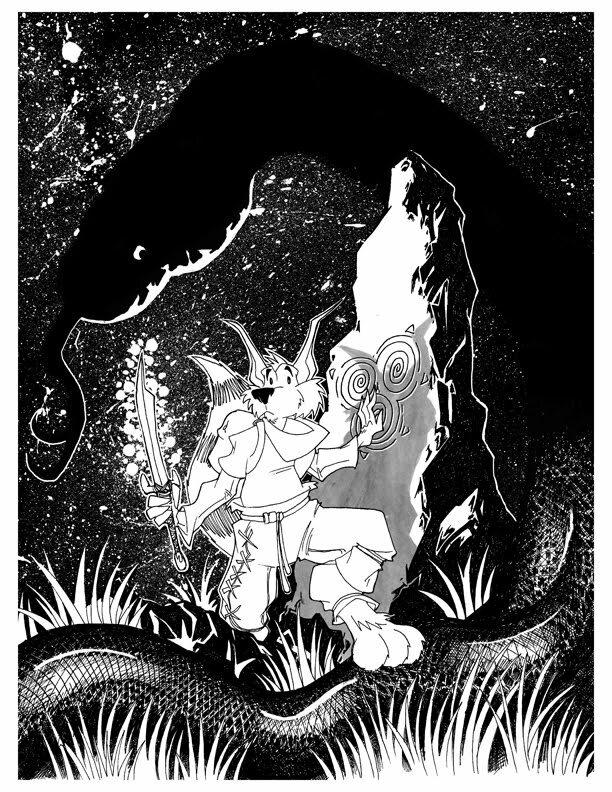 The final will be in color, I just ran out of time but I still wanted to post the process. Thirty One down... Three Hundred and Thirty Four to go. January came out pretty good. I got a head for a while then fell behind but so far so good. 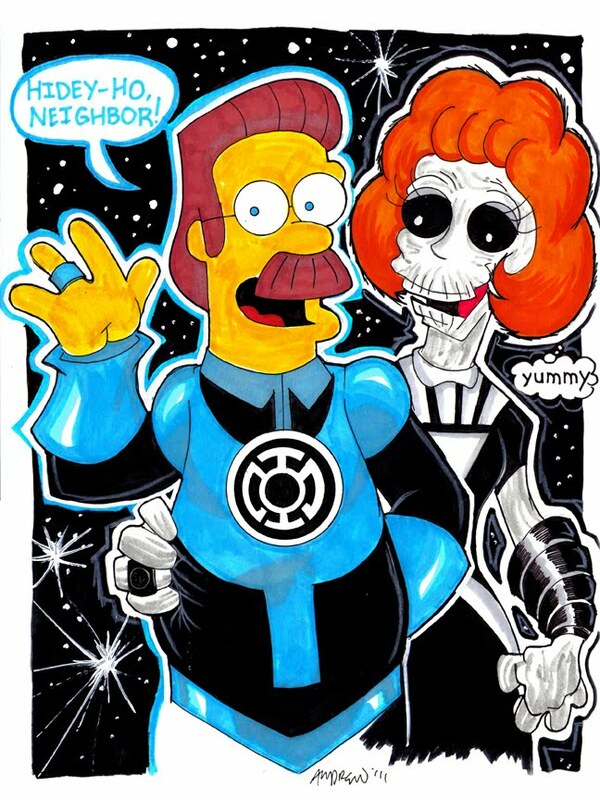 So, for some reason, my rendition of Lois Griffin as a Red Lantern was pretty popular and I recieved 2 additional request for a sketch of her (so far). This was a chance to re-do her costume that, when I finished the first one, i realized that there was barely any RED in her costume. Love second chances to make things right.